Situated near the beach, this spa resort is within a 15-minute walk of 3D Trick Art Museum DMZ, Double Six Beach, and Seminyak Beach. Legian Beach and Eat Street are also within 1 mi (2 km). It’s hard to toss a stone in Seminyak, Indonesia, without hitting an ex-pat, even if your throw isn’t exactly one for the record books. Yes, this sophisticated, upscale area in Bali excites people so much they often don’t want to go home. Between the breathtaking temples, ribbons of golden sand and modern architecture, it’s easy to see how the neighbourhood takes hold of visitors and residents. 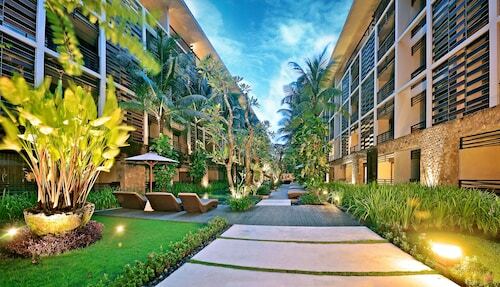 Be careful—when you plan a holiday to Seminyak, you may end up finding a new permanent address. The Petitenget Temple is the most important piece of the cultural landscape in Seminyak. The temple itself is stunning, and it remains so meaningful that locals stop here to pray. On the more whimsical side of things, galleries like the Biasa ArtSpace showcase modern art exhibits. 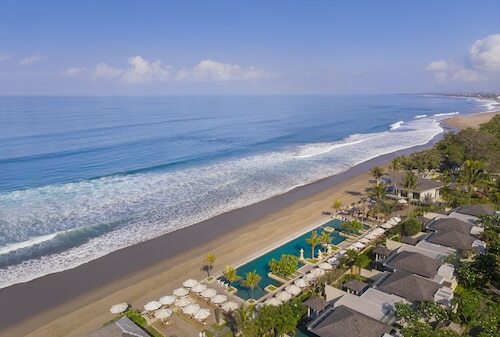 Of course, luxury Seminyak accommodation is nestled against the local beaches. This makes it easy to step out of your hotel in the morning and immediately go for a swim or surf in the sea. 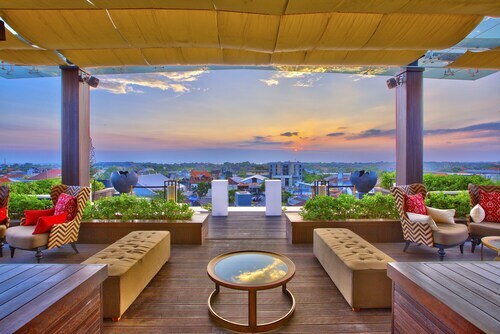 After a day of activity, grab a drink at a local bar or walk through Seminyak Square. 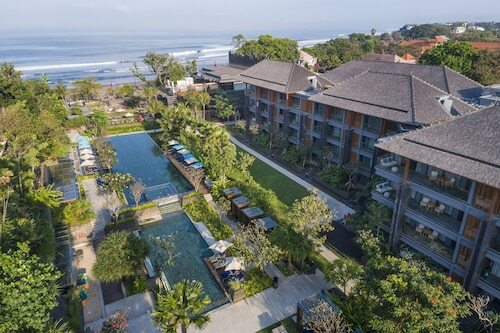 You can get to Seminyak by booking a ticket to Ngurah Rai International Airport, which is just 10 km away. Once you’re in the area, you can count on taxis, ojek motorbikes, and your own two feet to get around. 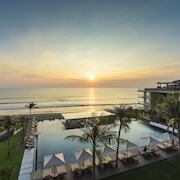 Don’t worry; the staff at Seminyak hotels are happy to help you find just the right restaurant or patch of sand. Wotif always has deals on flights to Seminyak. Whether you’re headed to Thailand with your friends or family, we know you want to stress about your budget. Of course, we would never let you pay an arm and a leg for top accommodation; that’s why we also have great rates on hotels in Seminyak. Why wait? The best time to book is now! 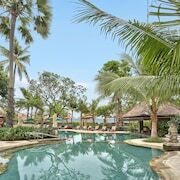 How Much is a Hotel Room in Seminyak Beach? 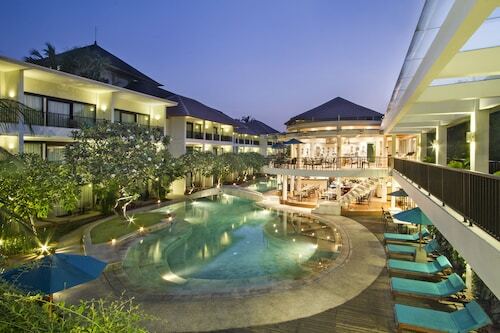 Hotels in Seminyak Beach start at AU$67 per night. Prices and availability subject to change. Additional terms may apply. Staff were extremely helpful in any situation from the room service staff to concierge right through to dining.